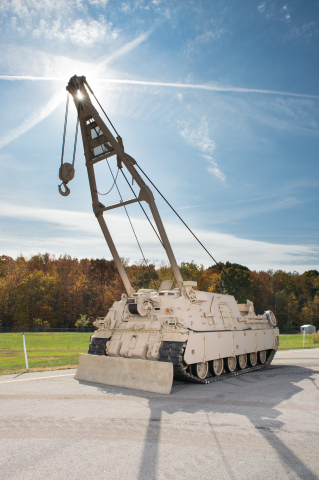 STERLING HEIGHTS, Mich. — (BUSINESS WIRE) — April 26, 2016 — The U.S. Army has awarded BAE Systems a contract modification worth $109.7 million to convert 36 M88A1 recovery vehicles to the M88A2 Heavy Equipment Recovery Combat Utility Lift Evacuation Systems (HERCULES) configuration. The conversions allow the M88A2s to recover the Army’s heaviest vehicles, such as tanks, without the assistance of another vehicle. The HERCULES, which provides recovery support to soldiers in the field, is the only vehicle able to recover the M1 Abrams tank and all of the vehicles required to maneuver with the Armored Brigade Combat Team in a combat environment. The M88 also plays a critical role in the company’s efforts to maintain the Combat Vehicle Industrial Base by supporting a team of highly skilled professionals and protecting the affordability of the Army’s combat vehicles. The support of Congress and the Army to protect these vital capabilities through M88 conversions helps sustain the workforce at BAE Systems’ facilities and its suppliers, and ensures they will be available to support essential future programs. As the M1 Abrams tank and other combat vehicles become heavier, further modernization of the M88 will be required to continue to provide single-vehicle recovery capability. Work on the contract is expected to begin in August by the existing workforce and will take place primarily at the company’s York, Pennsylvania, and Aiken, South Carolina, facilities. Deliveries will begin in November 2017 and continue through August 2018.